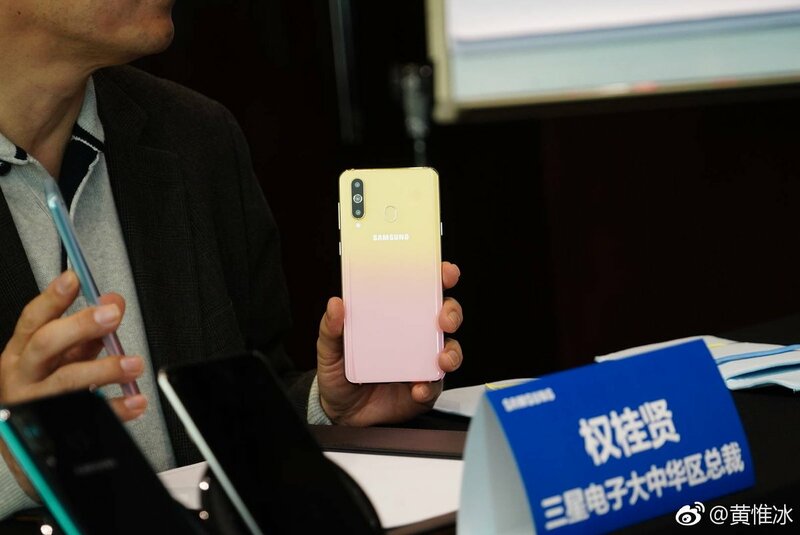 Samsung has shown off the Galaxy A8s FE which it will release on Valentine’s Day next month. It had mentioned this variant when the Galaxy A8s was originally launched in China last month. It has been designed with women in mind. The “FE” designation might remind you of the Galaxy Note 7 FE where it stood for “Fan Edition.” That’s not the case with this device. The FE in the Galaxy A8s FE stands for “Female Edition.” Thus leaving no doubt in our minds what demographic this handset is meant for. There’s nothing different about this Galaxy A8s than the one Samsung has already been selling. Samsung Mobile China’s CEO recently showed off the Galaxy A8s FE in the flesh. The only thing that’s different is the gradient finish that’s not normally offered with this device. Samsung has only released the Galaxy A8s in China so far. It’s going to release the Galaxy A8s FE on February 14. Whether or not it arrives in other markets remains to be seen. 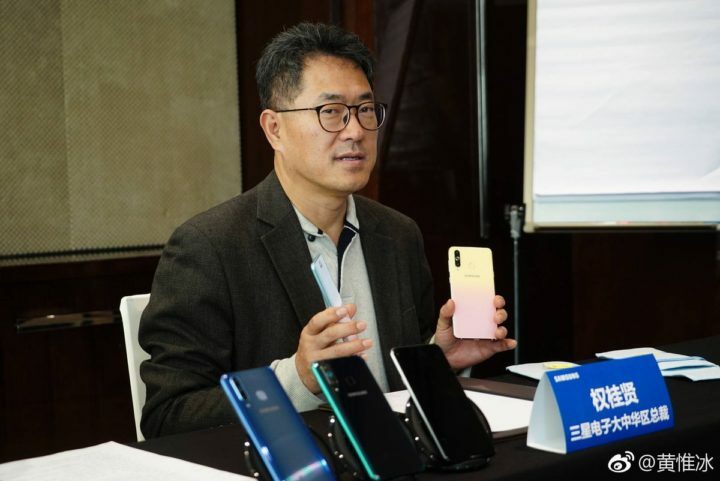 The Galaxy A8s itself is likely going to be launched outside China soon. Some reports have suggested that it may be launched in South Korea before the end of January. 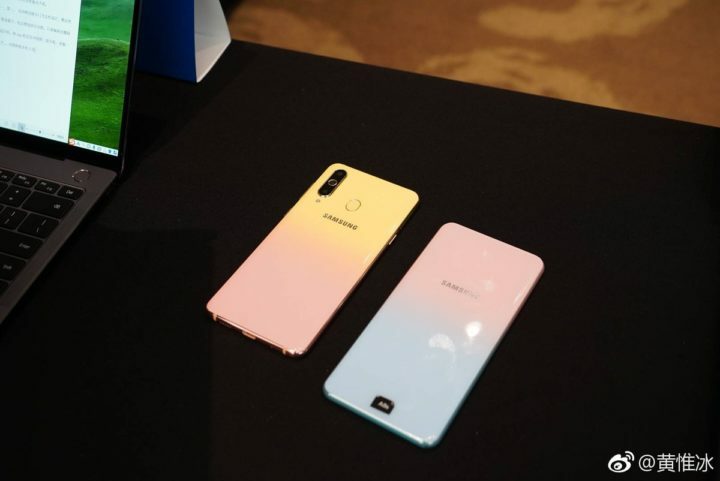 The Galaxy A8s is the first smartphone from Samsung to feature an Infinity-O display. It’s also the company’s first Galaxy-branded device without a 3.5mm headphone jack. The specs include a 6.4-inch Full HD+ display, Snapdragon 710 with up to 8GB of RAM and 128GB of storage. There’s also a triple-camera system at the back. All of this is powered by a 3,400mAh battery and Android 8.1 Oreo. Last photo second device. What is that ?